Ensure customer satisfaction and improve agent performance. The basic motive of a call center is to keep customers happy and call center analytics does that for the companies. Call center analytics is used for identifying the gaps in the agents’ performance, call resolution and satisfaction, time taken to resolve a problem or give the right information, first-contact resolution and more. The use of call center analytics varies as per the business for instance, an airline company may use call center analytics to update the customers of any delays in the flight or boarding time, and this can be done via direct calls or voicemail and gauge customer reactions. Call center analytics also help companies to get customer insights. Companies can identify the success of each inbound and out bound call, customer satisfaction level on every call, up-sell and cross sell opportunities, customer churn and customer endorsement. Customer service is integral to the success of any business. With the improvement in technology, interaction between customer and business has changed drastically. Social media has given the power to customers to both drive more customers to a business and increase revenue, or to take the business for a toss by writing reviews based on their negative experience. Smart phones have enabled customer’s to write reviews anywhere and anytime and also interact with a company’s customer representative. Challenges in identifying the right call center analytics (contact center analytics) tool. There are plethora of vendors who provide multiple call center analytics tools (contact center analytics tools). Thus organizations are facing challenges in identifying the tool that suits their requirements. Following points will help you to understand the various contact center analytics tools and their implications so that you can decide which one can help you improve performance and reduce costs. In call center (contact center) context, predictive analytics assists in identifying effective ways to communicate with customers. 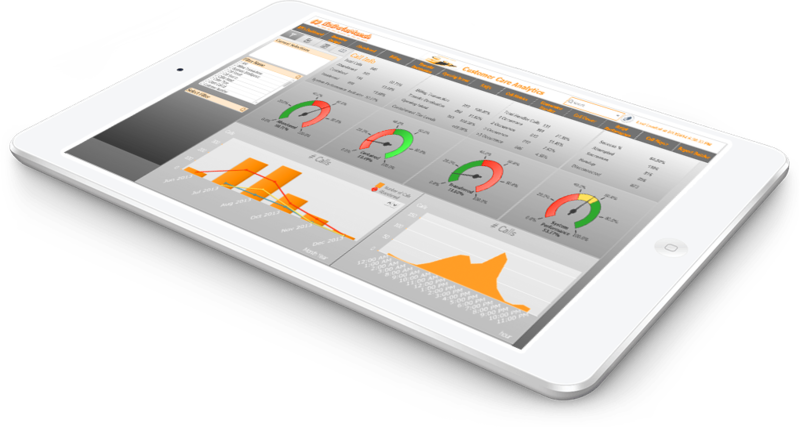 It improves customer experience and increase sales, collection revenue, reduce average handle time and operating costs. Helps in identifying customer needs and wants by capturing, structuring and analyzing conversation data. Organizations can research and develop new products and services, understand customer emotions, reduce costs and more. Helps in identifying customers’ needs and wants by capturing, structuring and analyzing texts documents used by customer to interact with the organization. It assists in identifying product, system and operational issues. Helps in monitoring agents, track their activities and system performance, assists workflow and gives real-time guidance. Its basically used to improve the performance and efficiency of employees, processes and systems. Helps organizations to determine which channels to use and optimize to increase customer interactions. Identifies which channels are being frequently used by customers to interact with the organization. This tool mostly helps customer service, sales and marketing teams. It’s basically used to improve the functions of self-service applications like web and interactive voice response and more. Customer satisfaction can be improved by removing the issues faced by customers while using such tools.